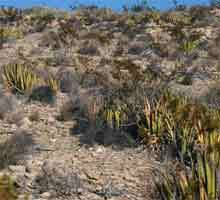 Ariocarpus fissuratus LRM13, typical habitat near Lajitas. Ariocarpus fissuratus LRM13, a plant growing in a sheltered position near Lajitas, Texas. Ariocarpus fissuratus LRM13, a plant in a more exposed position. A large population of broad tubercled plants growing on pure white limestone. The larger plants are up 12cm in diameter. 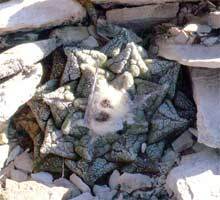 Other associated species here include Epithelantha bokei, Mammillaria lasiacantha and Echinomastus warnockii. 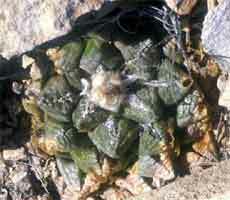 As with most populations the largest and healthiest plants are growing in the protection of Hechtia and other protective vegetation.